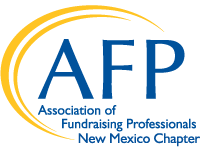 Melissa Dracup is the Director of the Tocqueville Society for United Way of Central New Mexico. She has been with UWCNM since 2003 in various capacities and is responsible for the cultivation, stewardship and engagement for all individual donors giving $10,000 or more annually. Under her leadership, the Tocqueville Society has grown from 427 donors to 620 with a 43% increase in annual gifts. The UWCNM Tocqueville Society has won numerous United Way Worldwide “Fleur de Lis Awards for Excellence”, including, for five consecutive years, largest increase in membership, most annual donors over $100,000 and most women donors. Melissa has been integral in creating and managing several volunteer committees as well as orchestrating seven to ten events annually for Society members. A native of Albuquerque, Melissa is a the mother of two young daughters and enjoys traveling with her family.